This is an exciting opportunity for a suitably qualified and experienced professional with strong strategic and economic acumen to join our Financial Strategy unit to develop and influence asset management strategies, budgets and modelling of options to deliver priority city and community assets. 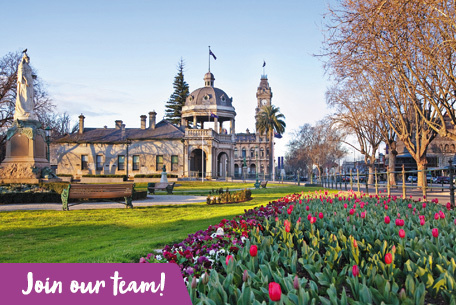 Reporting to the Manager Financial Strategy, this role is pivotal in supporting the vision of the City of Greater Bendigo in creating the world’s most livable community. You will be responsible for developing and implementing strategies to integrate asset management into the City and community - and providing modelling support for long term infrastructure renewal and upgrades. In doing so you will work toward raising the profile of asset management across the organisation, including supporting asset and service managers in regards to asset requirements. This is a key role in providing leadership and direction for asset and service management steering committees, associated governance structures and in modelling economic and asset requirements for the Long Term Financial Plan. To be successful in this role you will be a strong professional leader with demonstrated experience in economics or asset management – and with exposure to financial management and associated modelling. You will have excellent verbal and written communication skills with the ability to prepare and present reports to a variety of stakeholders. A satisfactory Police Record Check is required for this position. If you require any further information regarding this position, please contact Nathan Morsillo, Manager Financial Strategy on (03) 4408 6685. Applications addressing the key selection criteria must be received by 5pm on Monday September 24, 2018.